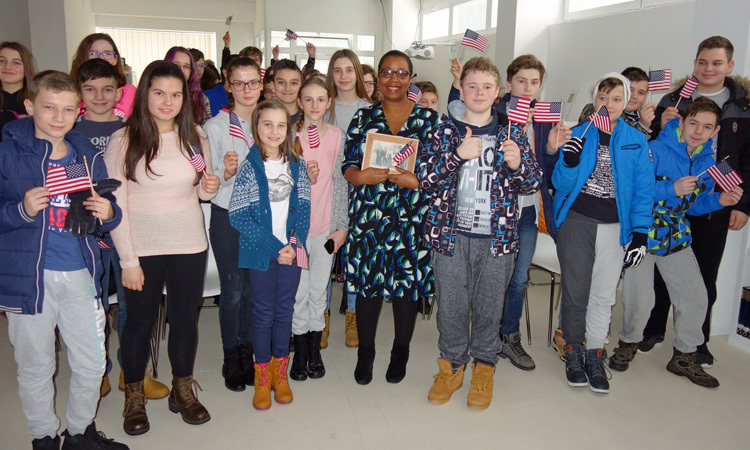 Wylita Bell, Public Affairs Officer, talked to students at American Corners in Osijek and in Vukovar about her family’s history and the importance of the Black History Month celebration. 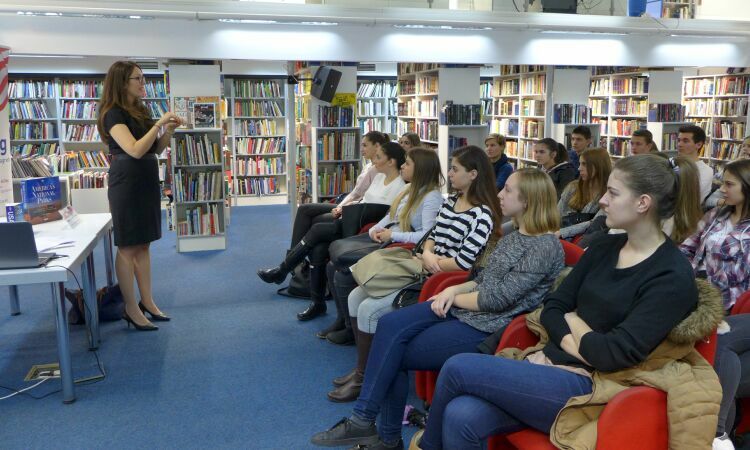 Wylita Bell, Public Affairs Officer, paid her first visit to the American Corner Rijeka on November 30. 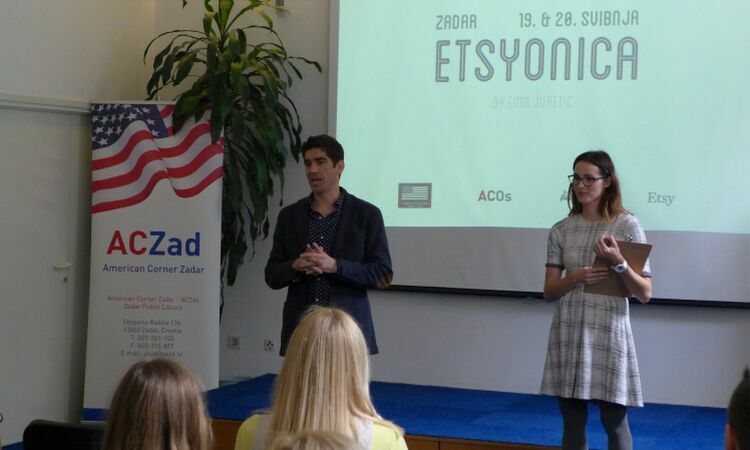 She discussed future program strategies with AC coordinator Kristina Doja. 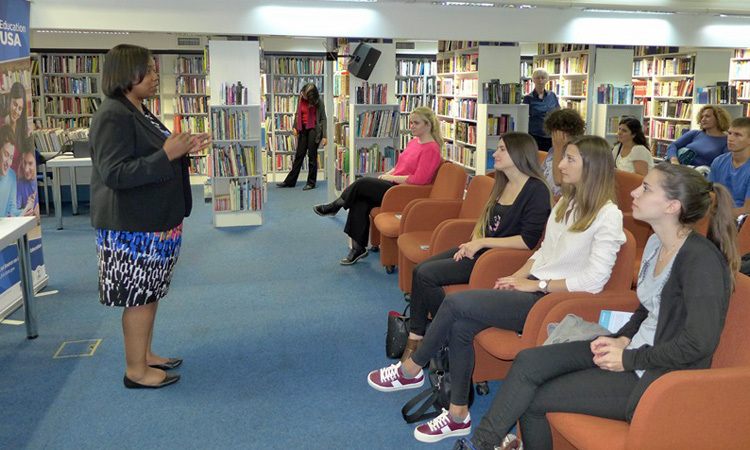 Wylita Bell, Public Affairs Officer, visited the American Corner Zagreb at the Public Library Jelkovec on October 23. 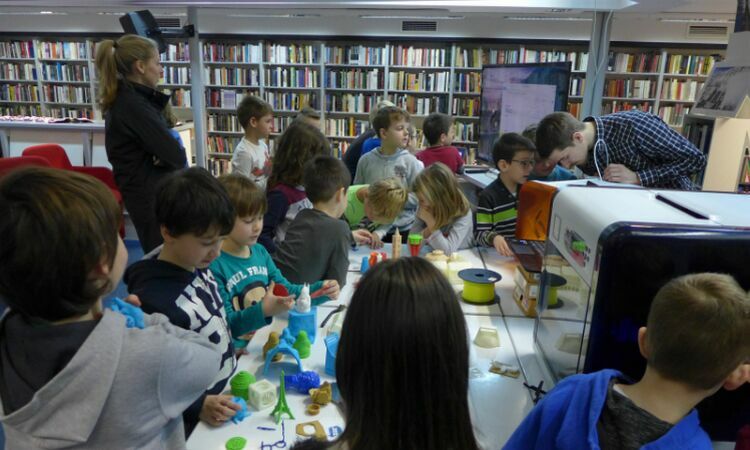 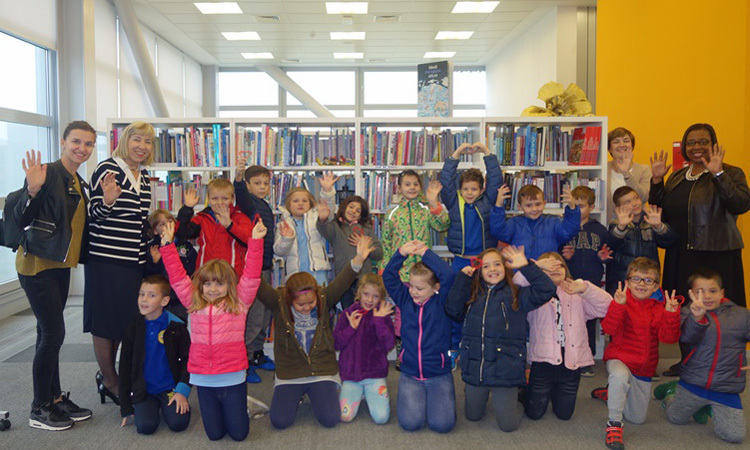 A group of 6 and 7 year old students participated in the program “I Can Also Read” as a part of the Croatian Book Month. 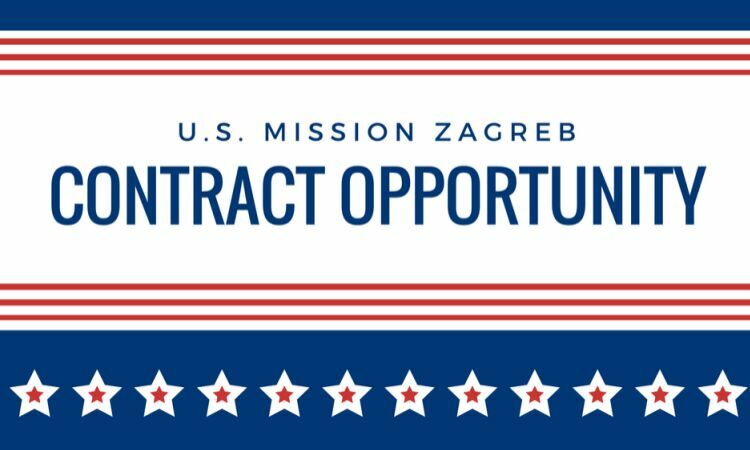 What Can AC Zadar Offer? 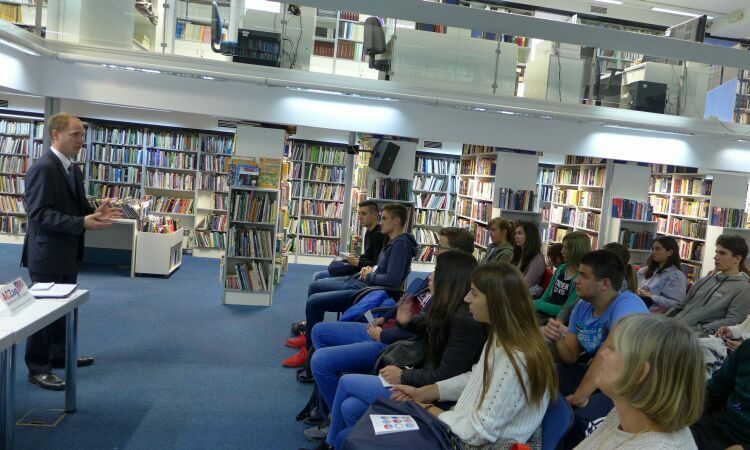 Wylita Bell, Public Affairs Officer, visited the American Corner Zadar on October 20. 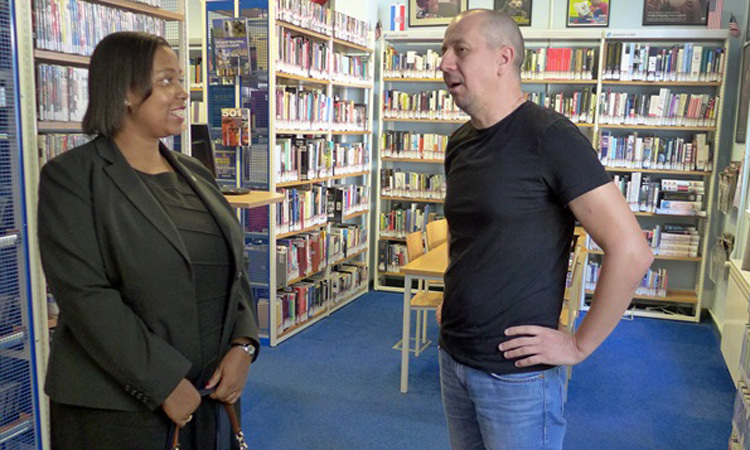 Milko Belevski, AC coordinator, informed Ms. Bell about the Corner’s activities and programs at the Corner and in the Zadar County. 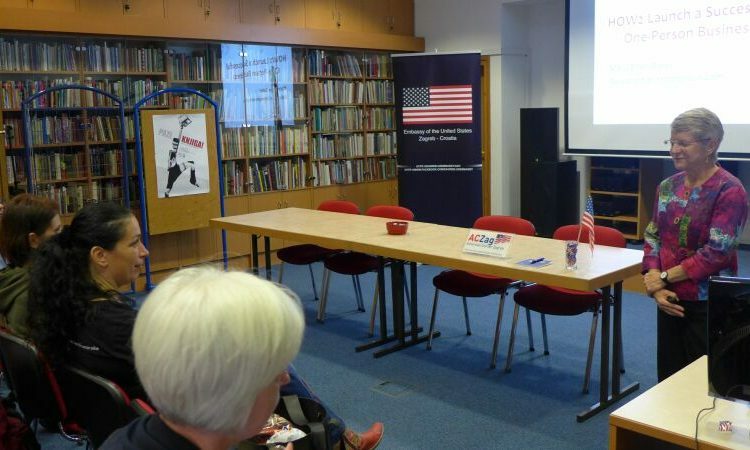 Wylita Bell, Public Affairs Officer, visited the American Corner Zagreb on September 7. 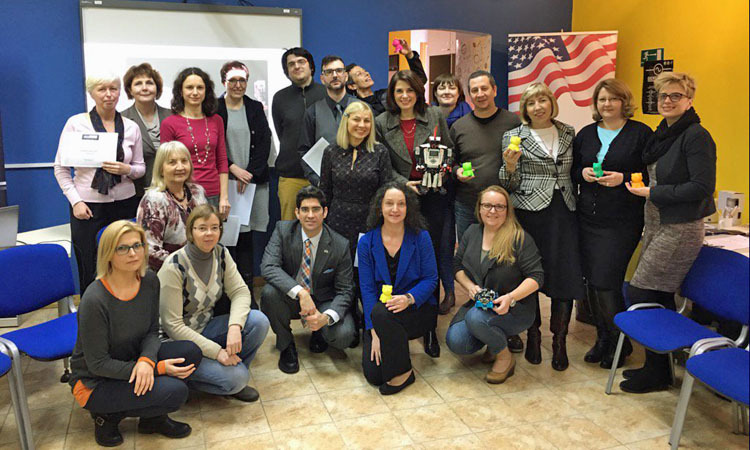 Ms. Bell attended a lecture “ Five Steps to U.S. Colleges” organized by the Institute for the Development of Education. 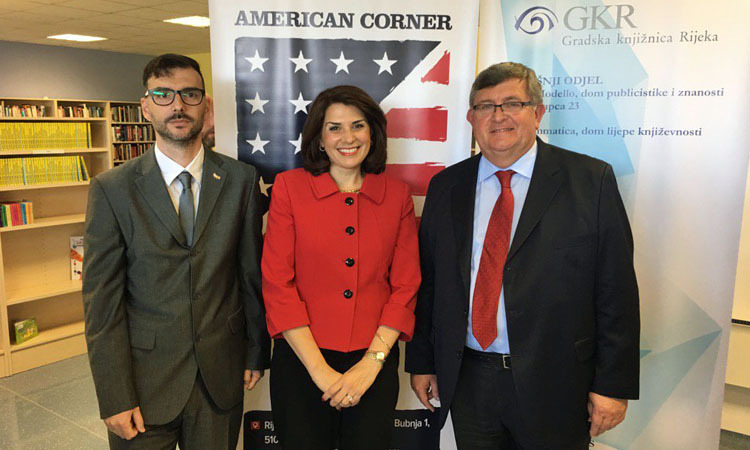 Why Are American Corners Important? 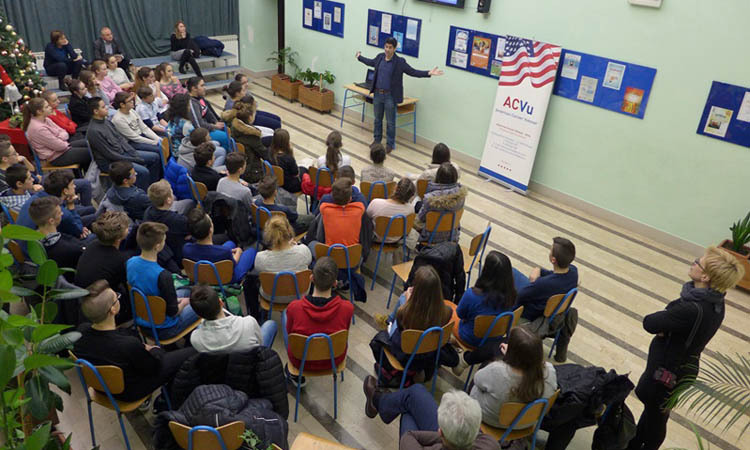 Public Affairs Officer Christian Wright visited Vukovar elementary school and American Corner Osijek where he spoke about American holidays and answered students’ questions about life and education in the U.S. 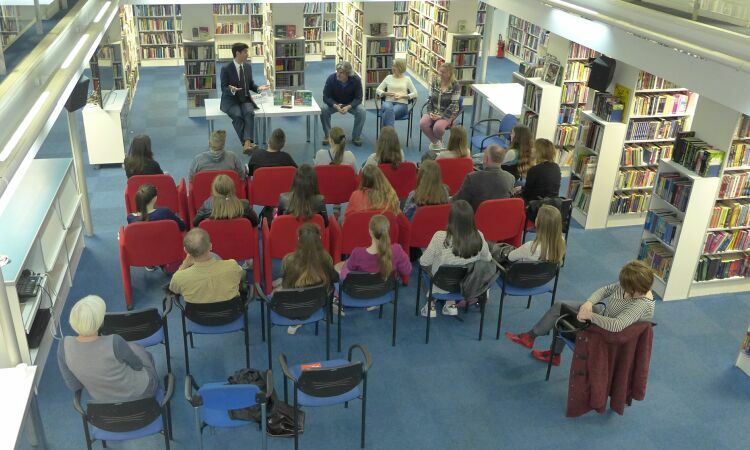 Thank you to our hosts – we hope to see you again soon! 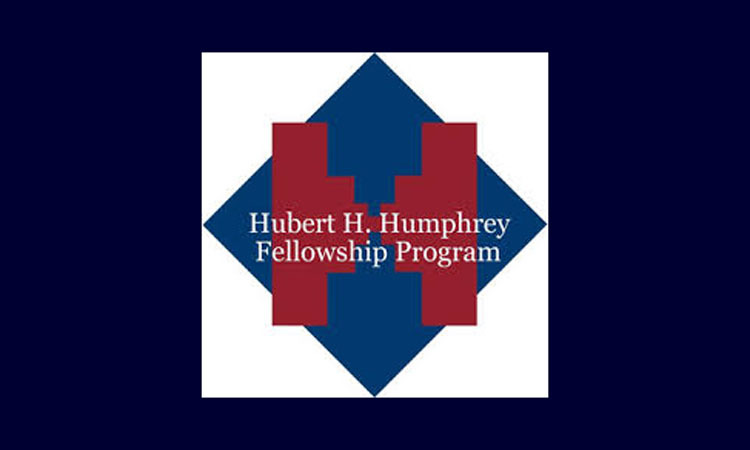 Will Immigration Policy Change With New President? 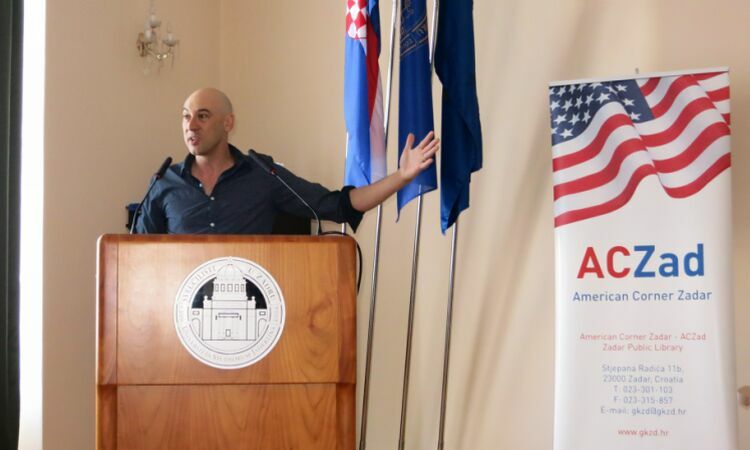 How Do Movies Portray America? 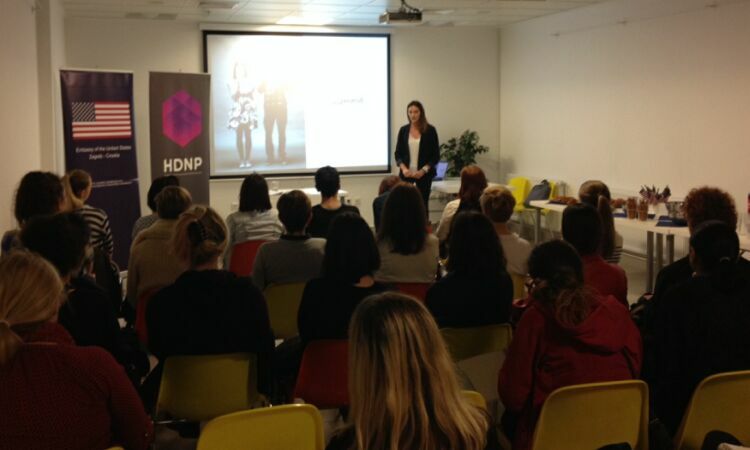 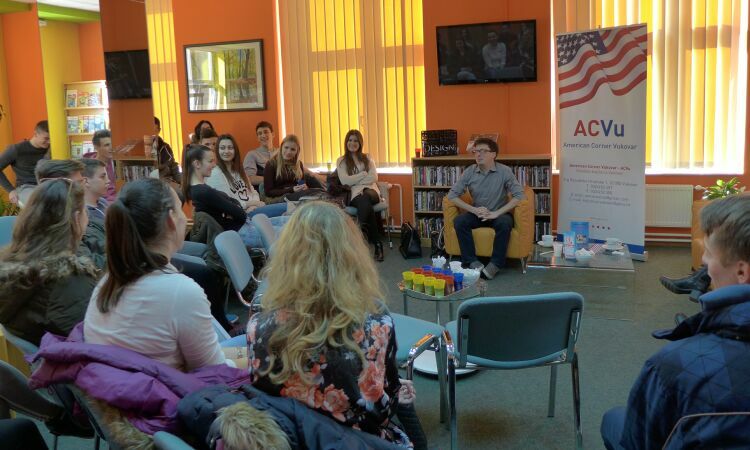 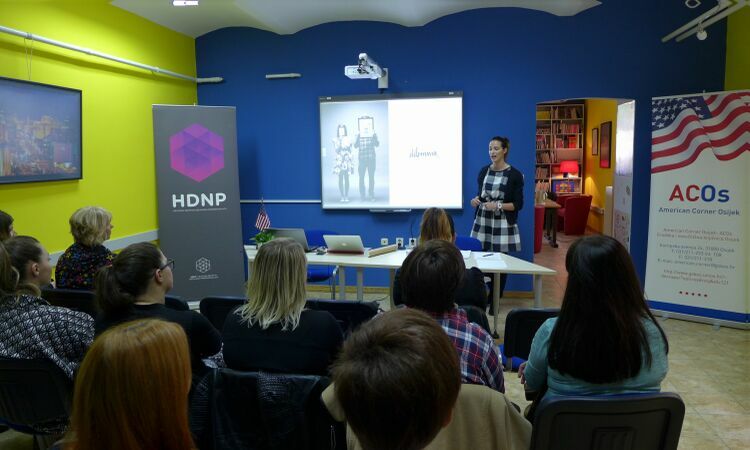 The American Corner Zagreb organized a film viewing at the Public Library Jelkovec on April 20. 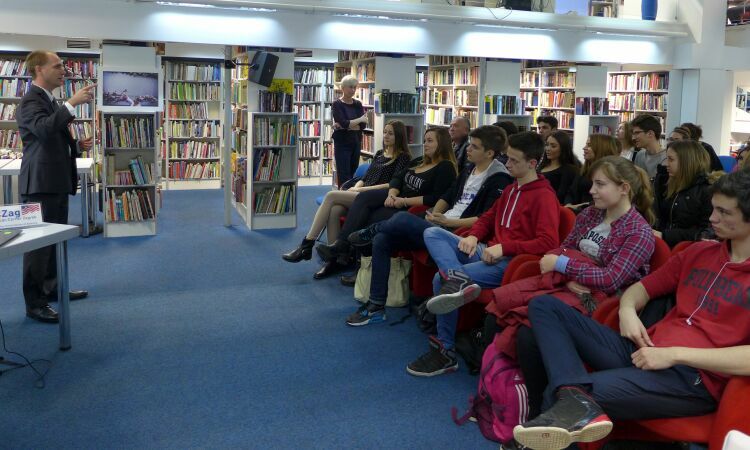 An outreach volunteer from the U.S. Embassy showed “The Goonies”, an adventure comedy for young adults. 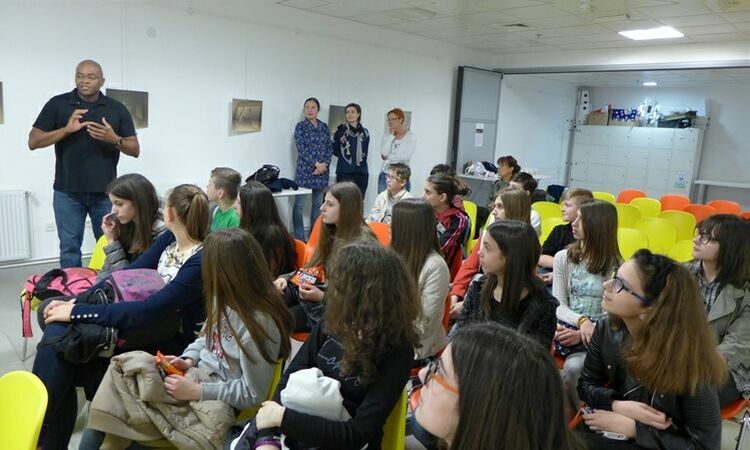 A group of elementary school students from Brezovica, Medjimurje county, attended Consular Officer Jessica Jarcev’s presentation about Alaska at the American Corner in Zagreb on April 11, 2016. 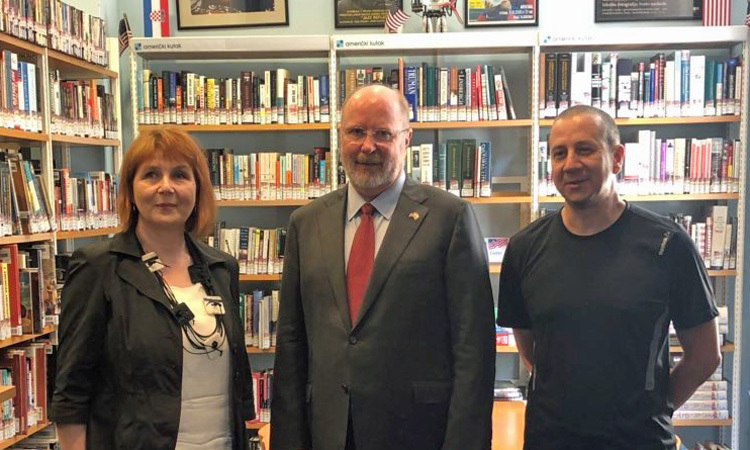 How Often Can You Spot Orcas?